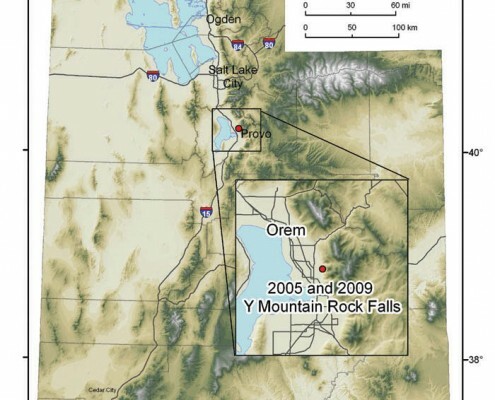 Location of the 2005 and 2009 Y Mountain rock falls. 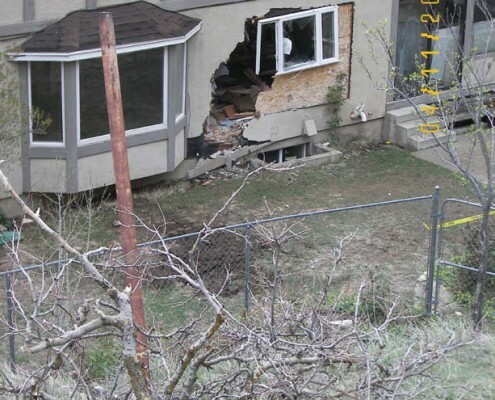 For the second time in four years, a rock fall damaged a neighborhood on the eastern edge of Provo, Utah. 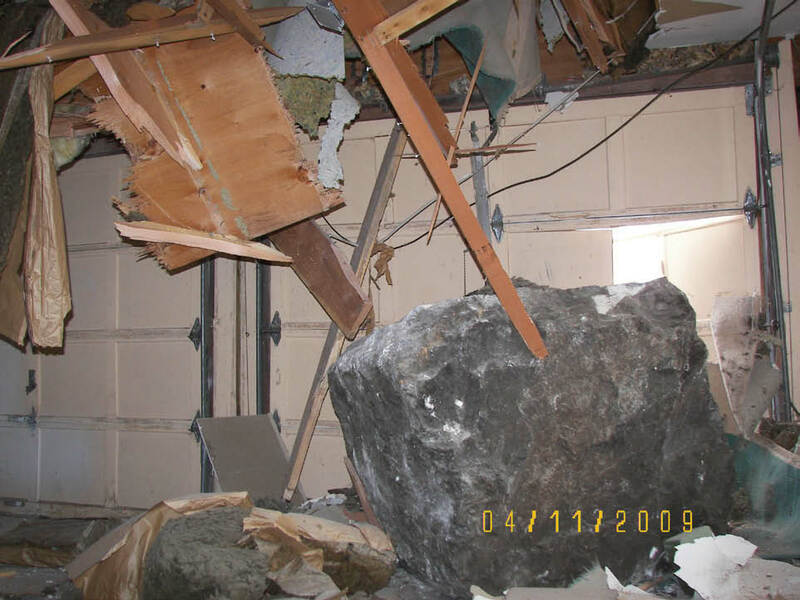 Around 11:30 a.m. on April 11, 2009, a large rock-fall boulder severely damaged a vacant house at 1496 North 1550 East, and another, smaller boulder damaged the outside of a playhouse on the adjacent lot to the north. 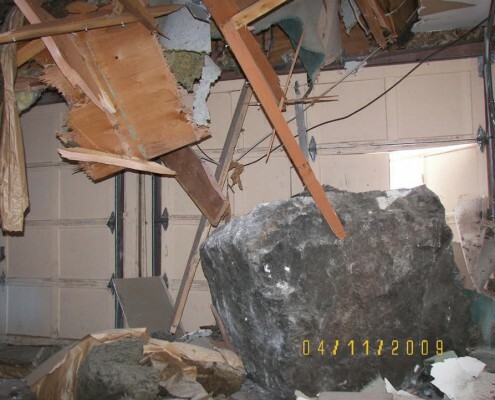 The April 11 rock fall damaged a house one lot north of where a rock fall on May 12, 2005, damaged a guest house that was later demolished. 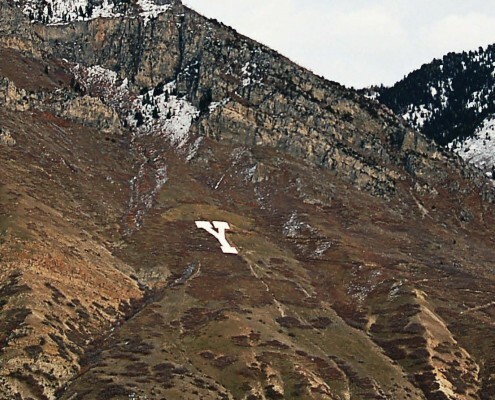 Both the 2009 and 2005 rock falls occurred on the steep west face of Y Mountain, named for the large white “Y” on its slope that has become a nationally recognized symbol of nearby Brigham Young University. 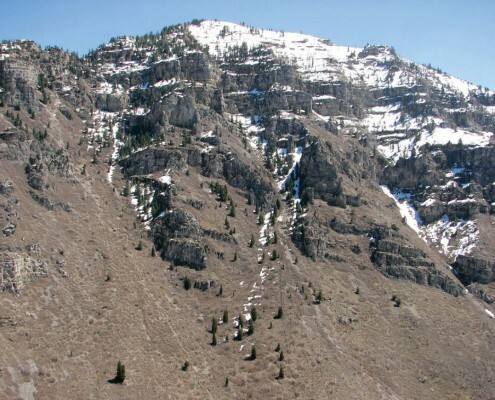 The 2009 rock fall likely occurred in response to recent weathering and erosion of a limestone cliff band by freezethaw action (a process in which water seeps into a crack and expands the crack as it freezes) and spring storm precipitation. One spring storm on April 8–9 dropped 1.5 inches of precipitation in less than 18 hours at the nearby Cascade Mountain climate data site (3 miles southeast of the rock-fall source area). The cliff band where the rock fall originated is approximately 2500 vertical feet above the houses and consists of Mississippian-age limestone. 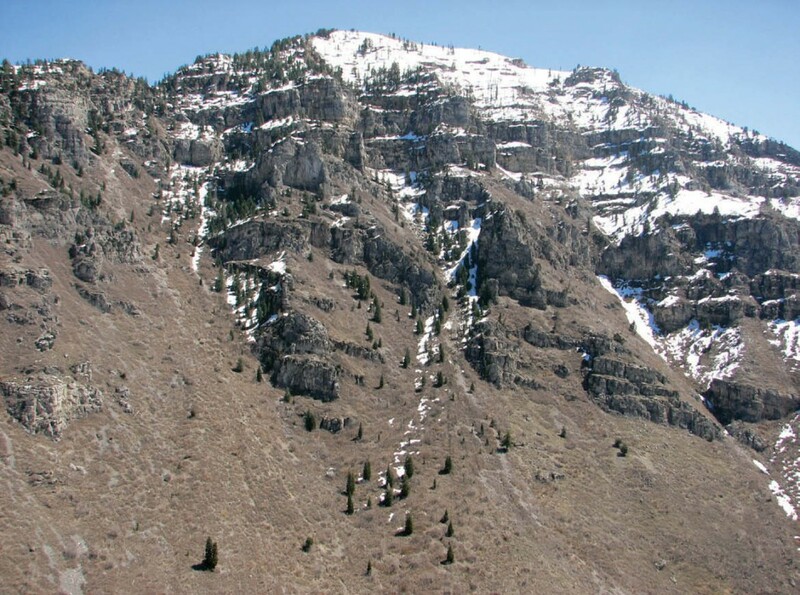 Impact craters (bounce marks) and tracks through vegetation on the slope below the cliff band indicate several rocks were involved in the initial rock-fall release. Several of these rocks traveled an estimated one mile downslope, and likely achieved high velocities as they bounced and rolled. 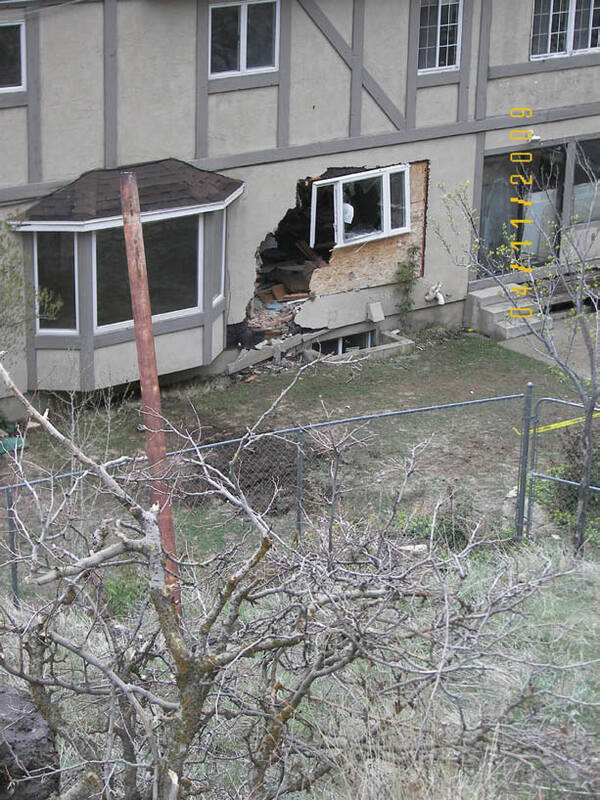 At 1496 North 1550 East, a boulder bounced over the 6-foot-high back fence and through the back of the house. 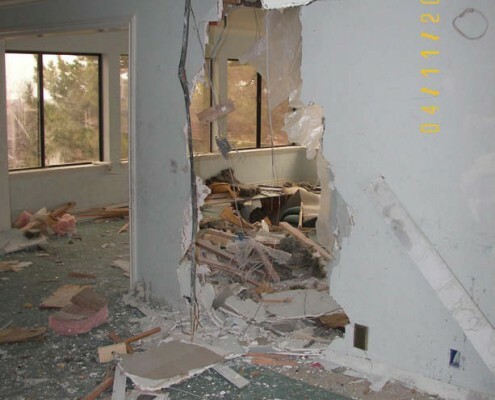 Inside the house, the boulder damaged the ceiling and crashed through a wall before falling through the floor into the garage below, breaking the garage door. 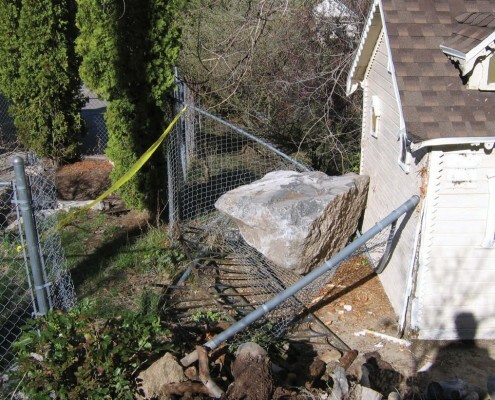 At 1522 North 1550 East, a boulder bounced over the back fence and hit the edge of a playhouse before it came to rest on a fence delineating the property line between this lot and 1496 North. 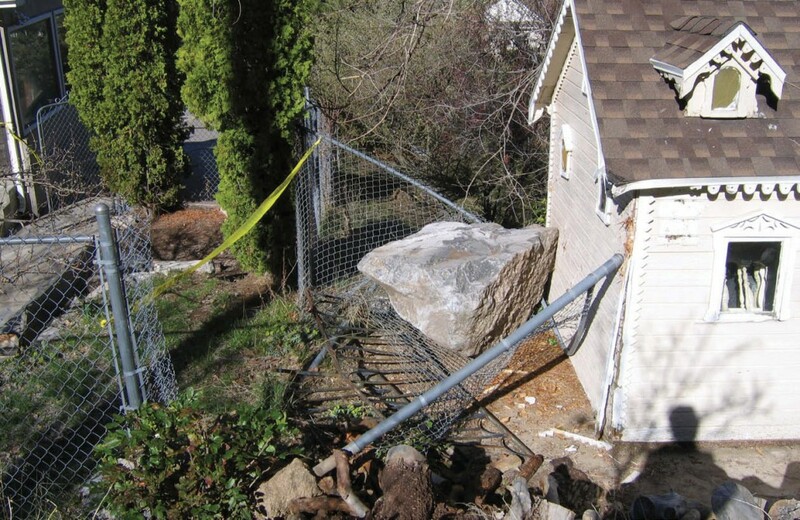 Numerous boulders from prehistoric and historical rock falls scattered throughout the neighborhood and on the hillside above indicate the high rock-fall hazard of the area. The rock-fall source area consists of tall limestone cliffs capable of producing large rock-fall boulders. Steep mountain slopes below the cliffs act as an accelerator for detached boulders, sending them speeding to the houses below. 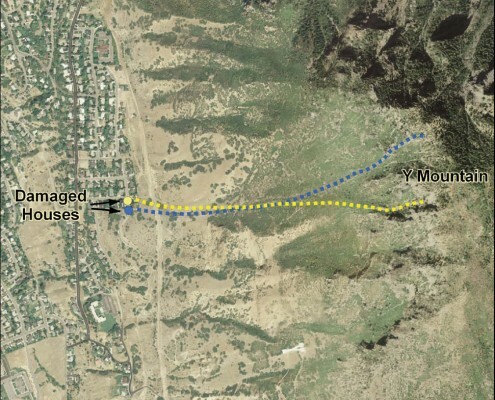 The cliff and steep slopes are part of a drainage basin that funnels detached boulders toward the neighborhood. Rock-fall impact craters of varying ages on the hillslope above the neighborhood indicate that the area has long been, and continues to be, an active rock-fall area. 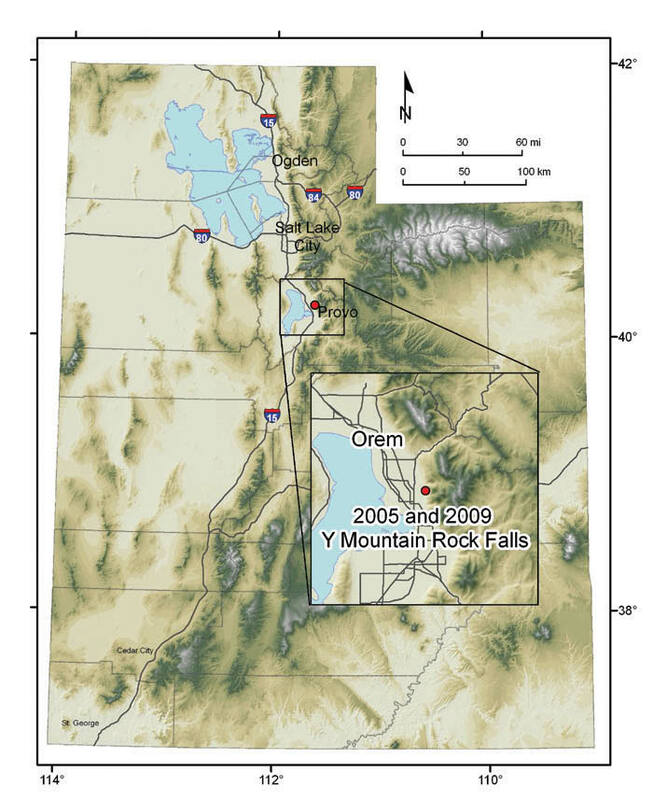 Following the 2005 and 2009 rock falls, the UGS provided Provo City with geologic information about the rock-fall hazard to the subdivision. 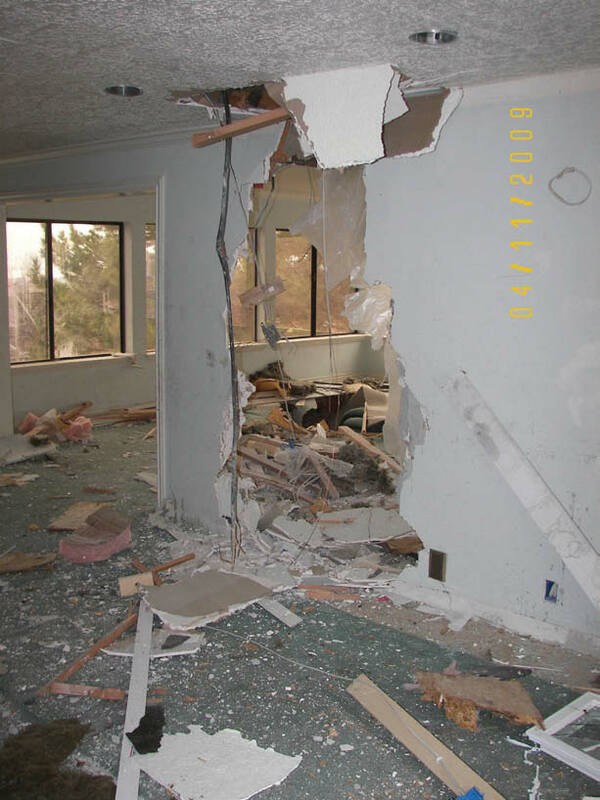 In the study, the UGS recommended that nearby residents be informed they are in a rock-fall-hazard area. 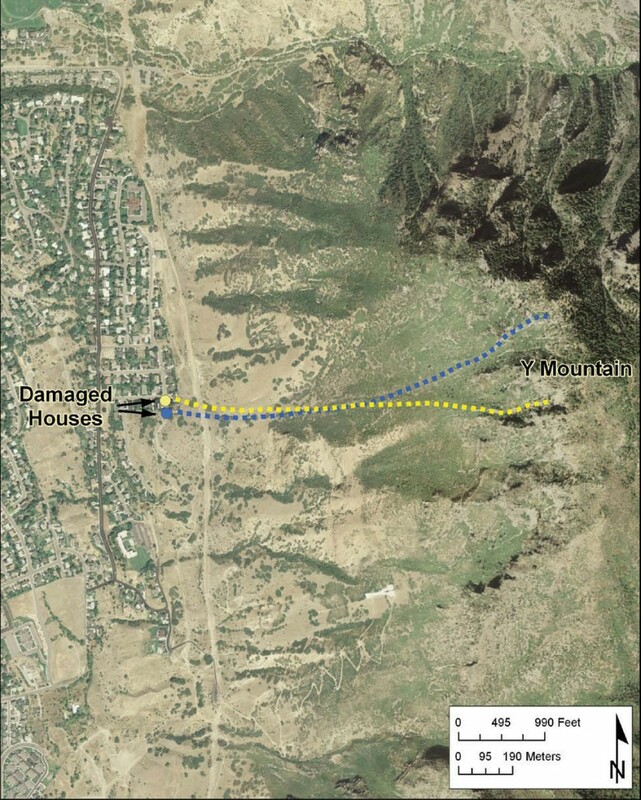 In addition, residents may wish to hire a geotechnical consultant to investigate the continued risk from rock falls to the neighborhood or to individual homes, and to recommend risk-reduction measures. Glad You Asked: What should you do if you find a fossil?